Our Inflatable soccer kick game is 14 feet tall and very colorful sure to draw attention to your soccer themed event. 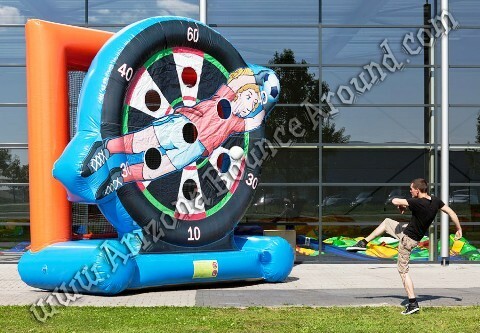 Our soccer kick game can be used as a compitition, team building game or just used for fun. The game comes complete with 3 soccer balls so rent one today. 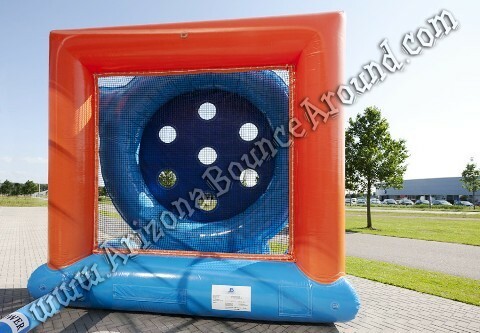 Be sure to check out our great selection of sports game rentals. The actual size of this game is 14 feet wide and 14 feet tall so please see space requirements above to make sure you have enough room to play.